Located along the shores of Lake Erie in western New York, Buffalo is a populous city with thriving trade, technology and education sectors. As a gateway to the magnificent Niagara Falls, the city is a tourist magnet. It’s flourishing art scene and iconic landmarks, such as the Darwin D. Martin House and Knox-Albright Art Gallery, are equally impressive. Cheap flights to Buffalo are now available for a limited time only, so book your flight today and get ready to experience natural wonders and vivacious culture of this friendly city! Buffalo is home to Buffalo Niagara International Airport (BUF), a 15-minute drive from town. BUF serves many airlines, including Delta Airlines, United Airlines and American Airlines. There are no direct flights from South Africa to Buffalo, but popular connecting flights depart from Johannesburg and Cape Town. Flight duration from Johannesburg to Buffalo is approximately 20 hours, 15 minutes. 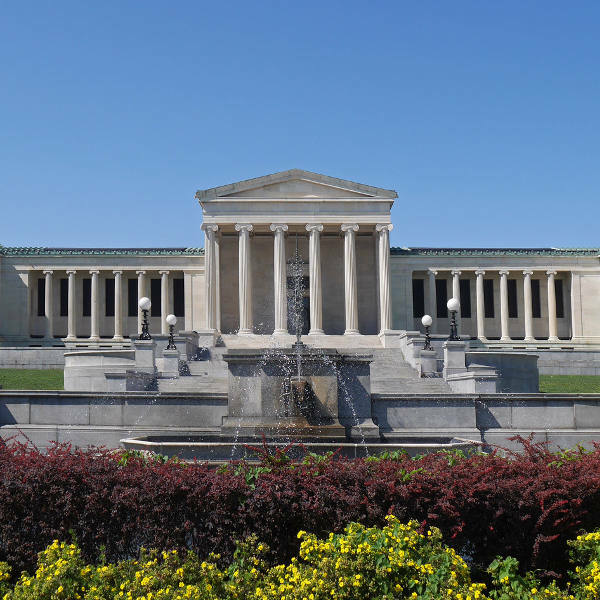 Parading an eclectic mix of architectural designs, Buffalo is home to some iconic buildings like the distinct Darwin D Martin House and the Neoclassical Liberty Building, designed in 1925. Visit the magnificent Niagara Falls, where you can plunge through raging rapids or enjoy a boat tour of the park. Stroll through the Botanical Gardens and Forest Lawn where the colourful flowers and animals will brighten your day. This cultural hotspot features art galleries and a burgeoning craft beer and food truck scene. The lively Canalside offers recreational activities and outdoor concerts, while the shows at Shea’s Performing Arts Centre are sure to impress! Buffalo experiences warm, humid summers and freezing cold winters with heavy rainfall. The ideal time to visit and make the most of the surrounding attractions is during the summer months of June to August. Although this is peak season with escalated accommodation and food prices, it really is the best time to fully enjoy the festivals and exhibitions around the city, not forgetting the gushing Niagara Falls in all its splendour. If you can time your visit in either May or September, the weather is a little chilly but you may be able to find some deals on flights and accommodation. Winters are unpleasantly cold with heavy snowfall and any plans to see Niagara Falls are out. If you’re a theatre lover, you must attend Curtain Up! – a toast to the opening of Buffalo’s theatre season, with outdoor festivities and performances open to the public. 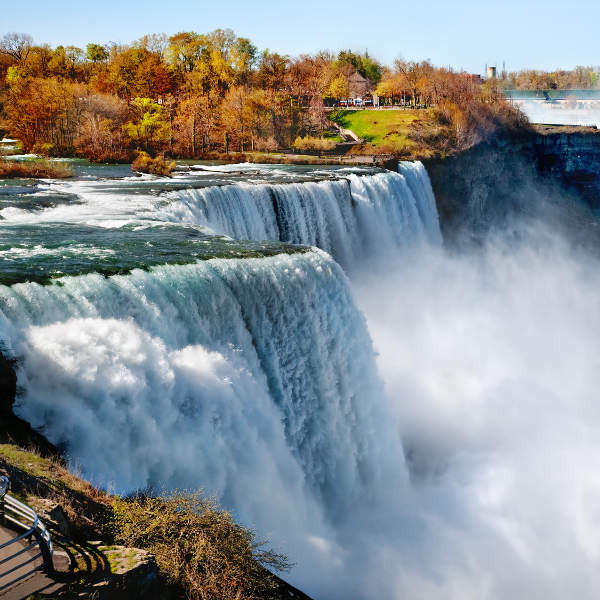 With its enviable position, just an hour south of Niagara Falls, Buffalo is a great city to base yourself in if you’re keen on exploring this iconic waterfall and the surrounding great outdoors. But don’t stop here, as there are some amazing landmarks and cultural icons to explore in the town itself. You can start your cultural exploration of Buffalo at The Martin House Complex. Take a tour of the grounds and house itself and marvel at the design and beautiful furniture pieces. For a glimpse into the city’s naval history, pay a visit to the Naval and Military Park. The Albright-Knox Art Gallery and Art Deco-styled City Hall are also not to be missed! Buffalo is known as the ‘City of Trees’ because of all the greenery you’ll find interspersed with some of the most beautiful architecture in the country. After you’ve enjoyed a day exploring the myriad of parks, settle in for an evening of live performing arts. The shows at the Kleinhans Music Hall and Shea’s Performing Arts Centre come highly recommended and, if you’re up for some bar hopping, the local watering holes stay open well into the morning. Compare several airlines and book your cheap flights to Buffalo online at Travelstart! A United States Tourist Visa is required for South Africans travelling to New York. You’ll need to make sure that your SA passport is valid for at least 6 months from the date of your return and that there are at least 2 pages free for stamps. Visa processing can take a few months, so leave plenty of time and ensure you have all the required documents. Despite Buffalo’s former reputation as a somewhat ‘rough’ city, the popular West Side is perfectly safe for locals and tourists. The East Side is home to poorer communities and any violent crime that does occur there is usually gang-related. This part of town is not frequented by tourists as there is not much to see. Practise the usual safety precautions and you’ll be perfectly fine. New York has upgraded its streetlights so, throughout the day and night, streets are generally well-lit. If you do not feel safe walking around at night, you can easily hail a taxi cab. Medical care can work out very expensive, so it is recommended to take out comprehensive travel insurance if you’re planning a long stay in the United States.